Reduce the Impact of Stress and Anxiety, Produce a Calming Effect and Support Circulation in Your Horse. 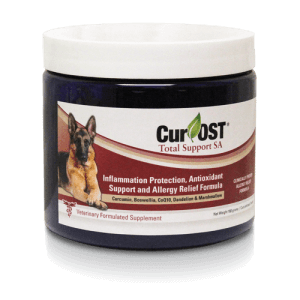 Cur-OST EQ Adapt & Recover provides complete support against the damaging effects of stress. Six potent adaptogens in their concentrated forms to boost protection, balance cortisol and adrenal function, promote healthy circulation, cardiac support, and cognitive function in your horse. Ideal for any horse in competition, training, recovering from an illness or injury, or dealing with chronic inflammatory concerns. Help them not only to cope with stress, but to overcome and recover! Reduce Anxiety, Calm Your Horse and Boost Overall Recovery From Stress and Injury. Cur-OST EQ Adapt & Recover is a clinically developed formula to help your horse adapt and recover from stress, boost cellular health and support healthy circulation. Six powerful adaptogens that help to balance cortisol levels, balance anxiety responses, promote cellular health and adrenal function, provide potent antioxidant benefits, promote healthy circulation, and a healthy inflammatory response. Learn More about calming the anxious horse and why it’s important. 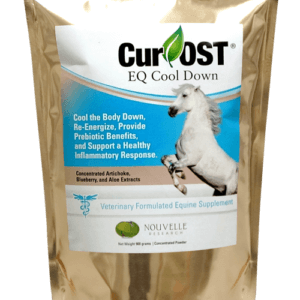 How Does Cur-OST EQ Adapt & Recover Differ from other horse calming and anxiety supplements? 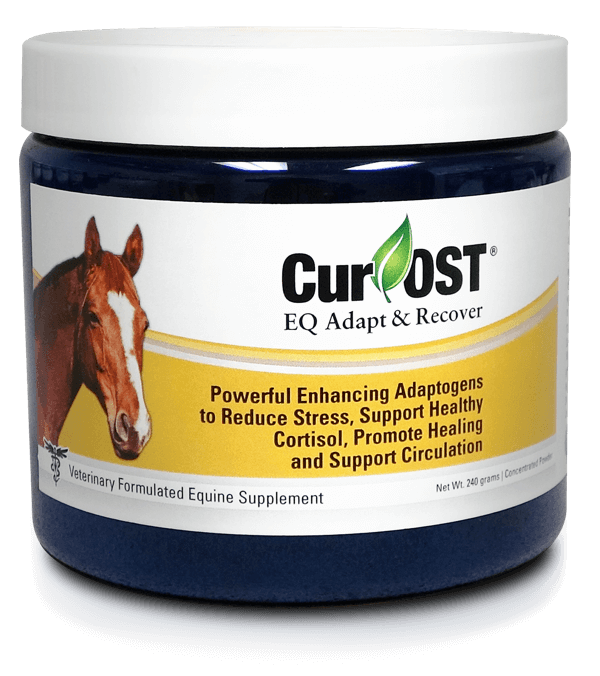 Cur-OST EQ Adapt & Recover takes our very popular EQ Adapt formula to the next level. Most horse calming and anxiety supplements utilize different forms of magnesium or amino acids to calm the horse, which may or may not be effective. In most cases of anxiety in the horse, the cause is often stress induced, and thus, a different approach is needed. 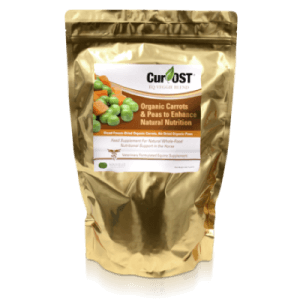 Cur-OST EQ Adapt & Recover provides 6 key adaptogen herbs in their concentrated forms, which impact the internal stress response in the horse, helping to reduce anxiety, produce a calming effect, balance cortisol, and even impact circulation and cell recovery. Is the Cur-OST EQ Adapt & Recovery Permitted for Use in Equine Events? Many adaptogen herbs are considered banned substances and it is recommended that you contact your horse discipline regulatory organization for further guidance.